Asst. District Attorney Asc. Parish "C"
Asst. District Attorney Asc. Parish "A" & "D"
Asst. District Attorney Asc. Div "A"
Asst. District Attorney Asc. Parish Misd. Asst. District Attorney Asc. Parish "B"
Asst. District Attorney Asc. Parish "B" & "D"
Asst. District Attorney Asu.Parish "C" & "E"
Asst. 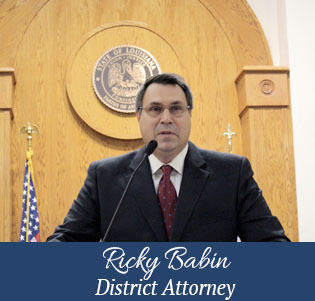 District Attorney Asu Parish "A", "B", & "D"
Asst. District Attorney, "B", "C " & "D"
Asst. District Attorney "A" & "E"